visitors. What’s more, Shimmer Bay has a new opening batter who Josh calls his ‘secret weapon’ — and who looks a lot like Davey. One of Australia’s most influential athletes and the world’s most explosive batsman, David Warner was the leading run scorer in Australia’s whitewash against England last summer, which attracted millions of viewers across the five Test Ashes series. Over the next year, Australia will contest a T20 World Cup, an ODI World Cup at home and another Ashes series in England and Warner is set to spearhead the country’s ambitions in all three series. 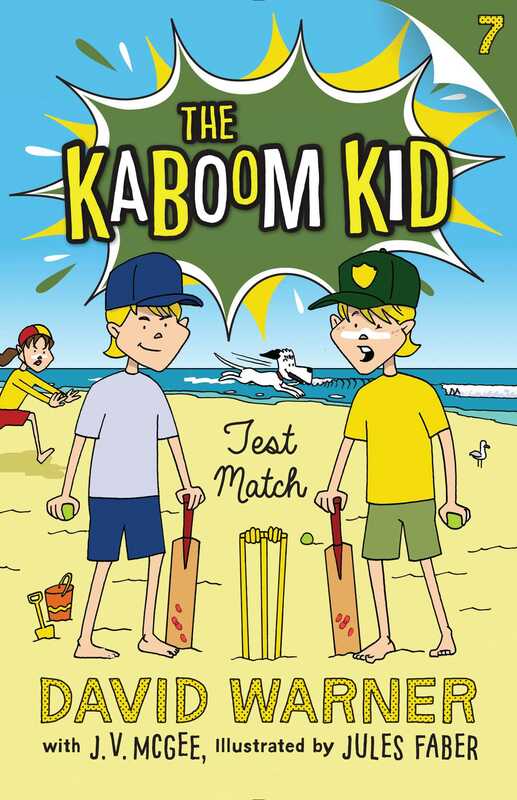 David loves kids, loves kids playing cricket and has written these books about growing up with cricket to encourage kids of all persuasions to play for fun and fitness. You can learn more at Warner31.com.